Wuthering Heights is the only published novel by Emily Bront , written between October 1845 and June 1846 and published in July of the following year. It was not printed until December 1847 under the pseudonym Ellis Bell, after the success of her sister Charlotte Bront 's novel Jane Eyre. The title of the novel comes from the Yorkshire manor on the moors of the story. The narrative centres on the all-encompassing, passionate, but ultimately doomed love between Catherine Earnshaw and Heathcliff, and how this unresolved passion eventually destroys them and the people around them. Today considered a classic of English literature, Wuthering Heights met with mixed reviews and controversy when it first appeared, mainly because of the narrative's stark depiction of mental and physical cruelty. 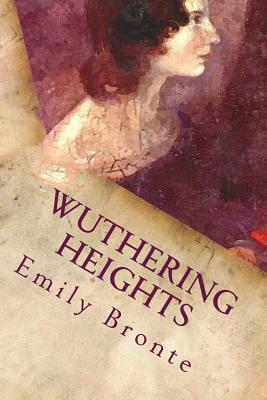 Emily Bront (1818-1848) was an English novelist and poet, best remembered for her solitary novel, Wuthering Heights. She published under the pen name Ellis Bell.